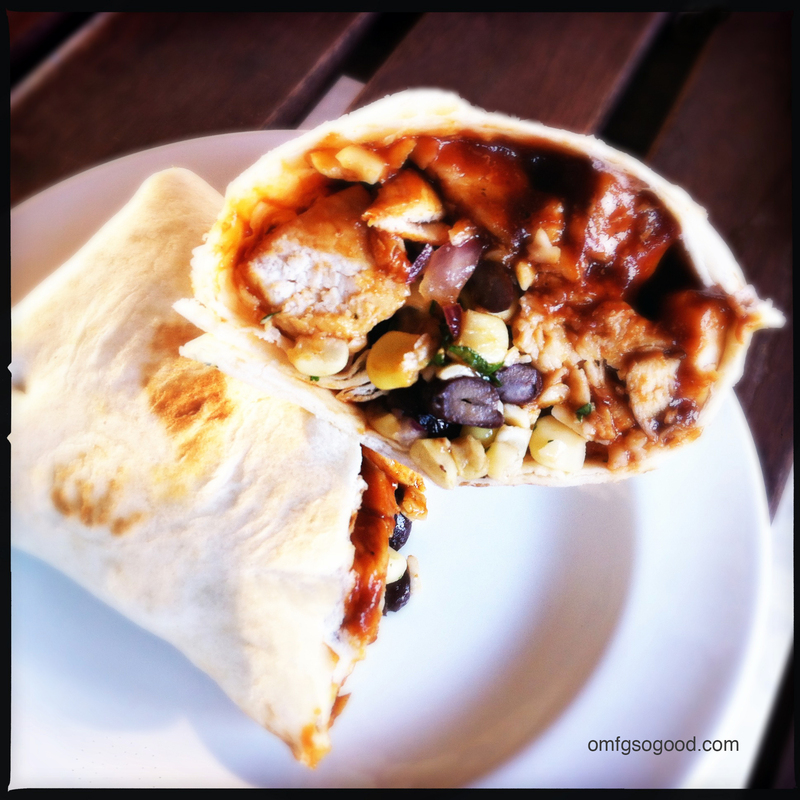 bbq chicken wraps with sweet corn salsa | omfg. so good. It seems like lately I’ve been letting the decadent sweets basque in every bit of glory, it’s high time to let some of the savory players take to the field. BBQ Chicken Wrap, you’re in the game. 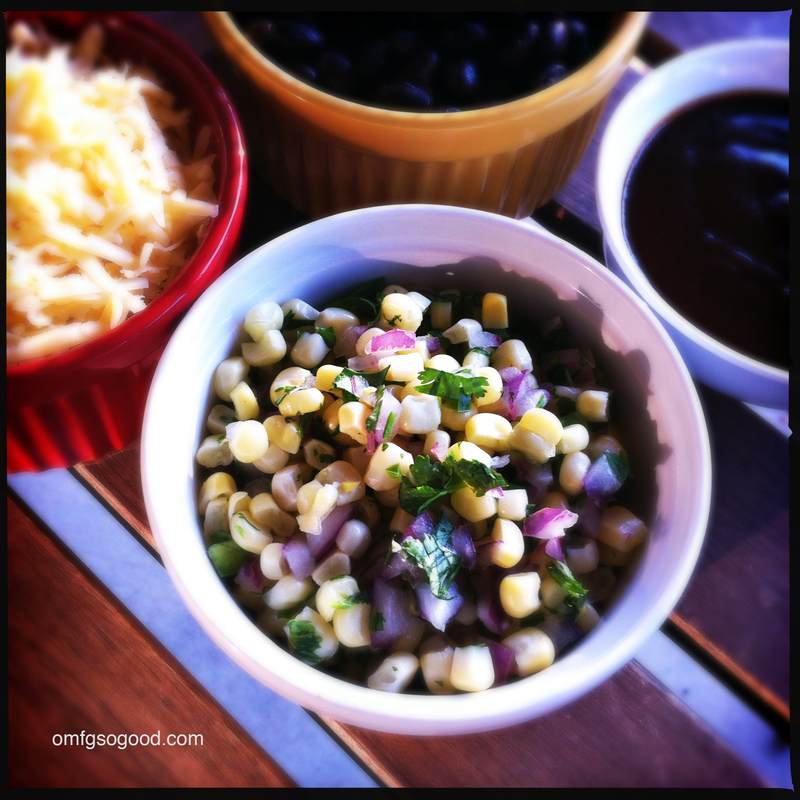 And bring along your buddy, Sweet Corn Salsa. So… not sure if I’ve ever mentioned this before, but I am a very, very busy person. Actually, two “very’s” simply aren’t enough. VERY, VERY, VERY, VERY busy is much more fitting. I’m lucky if I have time to throw together a platter full of grilled cheese sandwiches for Baby Daddy and the Beasts during the week, let alone cook up a full-on meal. This BBQ chicken wrap with sweet corn salsa is seriously the answer to my (and probably your) prayers. It’s so easy to make, tastes incredible, and you’ll more than likely have enough corn salsa left over to eat as an afternoon snack the next day. To make the chicken wraps, drain and rinse the black beans then set aside. In a medium sized saute pan over medium heat, combine the chicken and BBQ sauce and cook until warmed through. Stack the tortillas on a microwave safe plate and drape with a moistened paper towel. Heat for around 20 seconds to warm and soften them. Lay each tortilla flat and spoon 1/4 of the BBQ chicken mixture on each. 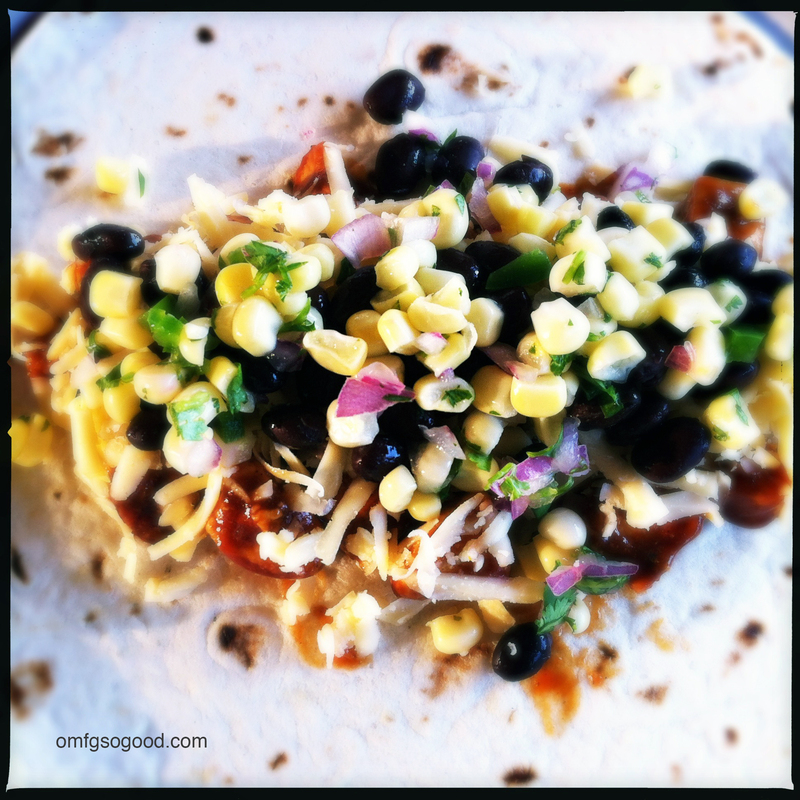 Top with shredded cheese, black beans, and a heaping spoonful of corn salsa. Wrap it up, burrito style, and place on individual serving plates then cut in half. Stuff your face. Game over.